Wednesday, September 5th at 12:10 PM. 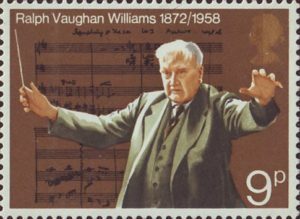 Ralph Vaughan Williams was one of the most influential composers of hymn tunes of the 20th century. He edited The English Hymnal and Songs of Praise, and gave English church music in general, and English congregational singing in particular, a strength and character that it retains to this day. Come and find out why and how, and add your voice to the singing of several of his best known hymns, as well as a couple of undiscovered treasures.